The FFT-based homogenization method introduced by Moulinec–Suquet (C R Acad Sci. II, Méc Phys Chim Astron 318(11):1417–1423, 1994; Comput Methods Appl Mech Eng 157(1–2):69–94, 1998) has recently emerged as a powerful tool for numerical homogenization on regular voxel grids. Unfortunately, the treatment of voxels occupied by multiple materials is not discussed in the original method. In this article and in the context of effective heat conductivity, we propose to furnish the interfacial voxels with appropriately chosen microstructural material estimates. These so-called composite voxels take into account volume fractions and normal data, and lead to drastic improvement of the local solution quality and the accuracy of the computed effective properties, shown by numerical experiments on a microstructure with analytical solution and a composite of industrial interest. Matti Schneider gratefully acknowledges financial support by the German Research Foundation (DFG), Federal Cluster of Excellence EXC 1075 “MERGE Technologies for Multifunctional Lightweight Structures”. 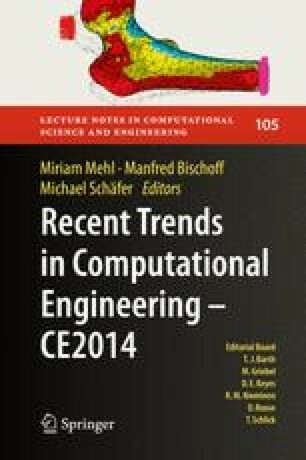 The authors are deeply indebted to Inga Shklyar for help with the Abaqus computations.